I was surfing around the ‘ net today when I came across what I considered to be a piece of bad news. 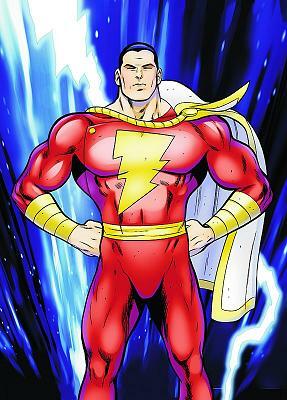 For over a year now, it may even be closer to two, there’s been talk about bringing the DC character Shazam! to the big screen. Now, even if you’re not a comic book geek, the name Shazam! is probably familiar to you. Perhaps you’ve seen the old movie serials, or remember the early 80’s Saturday morning cartoon, which is where I was first introduced to the exploits of the Marvel family. A brief synopsis – Shazam! is the story of teenager Billy Batson, who was chosen by the wizard Shazam to be a super hero. Whenever Batson says the wizard’s name, he’s struck by lightning and turned into the all-powerful superhero Captain Marvel, who is pretty much a Superman type dude. The main villain in the comic book series is an equally powerful fella by the name of Black Adam, a character who played a huge role in DC’s yearlong endeavour 52, which ran from May 2006-May 2007. Within the past year, director Peter Berg (Get Smart) was attached to direct a film adaptation of Shazam!, while writer John August had crafted an action comedy that was reportedly well regarded by the folks at Warner Brothers, who would be putting out the film. Well, it turns out that the plug has been pulled on Shazam!. According to John August’s blog, the suits didn’t want a kid friendly film and instead were leaning towards something darker (there’s the influence of The Dark Knight for you, and expect to see more decisions like it in the future). You can check out all the info on the failed adaptation here. While I’m no DC fan for the most part, I’m disappointed to see that this film won’t be happening. Not because I won’t be seeing Captain Marvel in the flesh (as far as I’m concerned there’s only one Captain Marvel and he’s a Kree warrior). Rather, I’m sad that I won’t get to see one of Hollywood’s hottest actors take a crack at playing Black Adam. You see, when talk started about bringing Shazam! to the movies, people were less interested in who was going to be playing Captain Marvel and more interested in the rumour that Dwayne Johnson was going to step into the cape of Black Adam. The man formerly known as The Rock would have been a perfect fit for the character, and was hugely interested in taking on the role. I think he would have nailed the part. The Rock’s success in Hollywood is one of the most genuine rise to the top stories I think our generation has seen. Of all the wrestlers who have tried their hands in Hollywood, Johnson has been the only one who has been able to make the transition. He’s smart enough, good looking enough, and talented enough to have been able to throw off what could have been a huge anchor around his neck and turned himself into a bankable leading man. Having interviewed him back in September 2001, I can also tell you he’s also a hell of a nice guy and one who loves the superhero genre. While he won’t be stepping into Black Adams shoes, I wonder if Dwayne Johnson will consider taking on any other superhero roles. 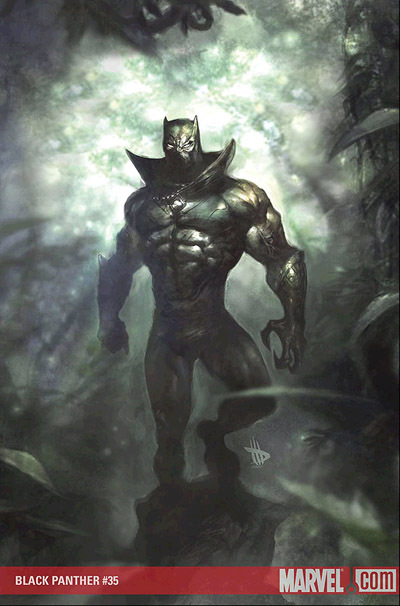 My vote – Black Panther. Wakanda? Samoa? Same amount of syllables, right? no no no no NO!!! I love the Rock, don’t get me wrong, but he cannot be Black Panther. I mean, listen to the name! If it’s not played by an icon of African-Americana, the film will flop, explode and destroy our nation. However, I do think he could make a passable War Machine, or even Bishop in X4: less bad than X3.elias. This is sad news. I would have liked to see a Shazam movie in any incarnation. 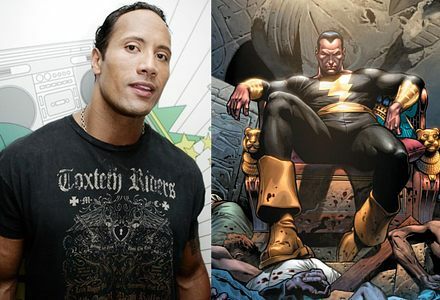 The Rock would have been perfect as Black Adam!Maybe he can now be offered the roles as Kraven the Hunter or Namor?